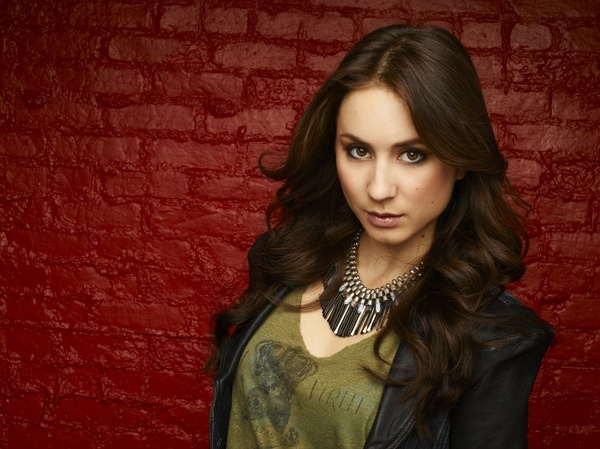 The Pretty Little Liars star Troian Bellisario is not afraid to voice her opinion. Bellisario attended a Cosmopolitan-hosted panel at the Democratic National Convention, at which issues on politics and pop culture were being discussed. The star is a Bernie sanders turned Hillary supporter. Bellisario was asked about the drama surrounding Taylor Swift and Kim Kardashian. Instead of taking sides she said that she was discontent over both parties. “Oh god, I have such an aversion to the Kardashians because I literally don’t understand people’s obsession with them and I don’t want to accept them as our closest thing to a royal family, so I guess I would be Team Taylor Swift?” she pondered. Then the star went on to talk about Taylor Swift by adding “However, I’m so appalled by what I consider to be her false feminism. It seems like she’s this person who’s like, ‘Sisterhood!’ and then she does nothing but tear down the women that were once her friends,” Referencing Swift’s famous girl squad.